Ms Harjit Gill, a recognised healthcare leader, has been appointed. 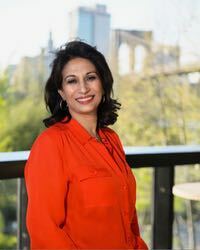 The Asia Pacific Medical Technology Association (ApacMed) has appointed its new Chief Executive Officer, Ms Harjit Gill, a recognised healthcare leader in the region with more than 25 years of experience in health and consumer technology products spanning Asia, Europe and the Middle East. Founded in 2014, ApacMed provides a unified voice for the medical device, equipment and in-vitro diagnostics industry in Asia Pacific. Gill succeeds Mr Fredrik Nyberg. With nearly three decades of regional experience across the medical devices and life sciences industries, Nyberg was appointed in 2015 to lead the first and only regional MedTech Association dedicated to improving the standards of care for patients across a tremendously diverse, complex and fragmented region. Nyberg expressed that “it has been an honour to represent our industry and serve as Chief Executive of the Association over the last four years, and work alongside an impressive Board of Directors, committed member organisations, and an enthusiastic team. It was a privilege to build ApacMed from the ground up, and see it thrive. I wish my successor, and the new Board all the very best for the future”.